1. Elizabeth Woodville: She is the lesser reason why I read the book, but I must admit my prejudice here. I am descended from John of Gaunt, Duke of Lancaster, so I am related or descended from several of the major players in the Wars of the Roses. Among them is Gaunt’s daughter Joan Beaufort’s daughters, Catherine Neville (my direct ancestor) and Cecily Neville, who was mother to Edward IV and Richard III. My descent from Catherine Neville is by her daughter, Cecily Willoughby who married Baron Dudley and in time became ancestor to Thomas Dudley, the 2nd Governor of the Massachusetts Bay Colony. But Thomas Dudley’s ancestry has always been in question—whether or not he was descended from the Barons Dudley, whose coat of arms he used, but he was always quiet about his ancestry, perhaps embarrassed by his relation to the notorious John Dudley, Duke of Northumberland or John Sutton, 3rd Baron Dudley, commonly known as Lord Quondam because his cousin, the Duke of Northumberland, took the family castle off his hands when he couldn’t pay his debts. Recently, a new theory surfaced that Gov. Dudley was also descended from Thomas Grey, the son of Elizabeth Woodville by her first marriage, which would make Dudley not only a descendant of the Barons of Dudley, but Lord Quondam who married Thomas Grey’s daughter. It also makes Thomas Dudley a cousin to Lady Jane Grey, whom the Duke of Northumberland tried to put on the throne and ended up being executed for. So in short, I wanted to know more about Elizabeth Woodville because of this newfound genealogy connection. Nor was this an easy discovery for me because I’d always sided with the House of Lancaster, but now here I might be descended from a Yorkist Queen—oh well, she had started out as a Lancastrian as well until she fell in love with Edward IV. 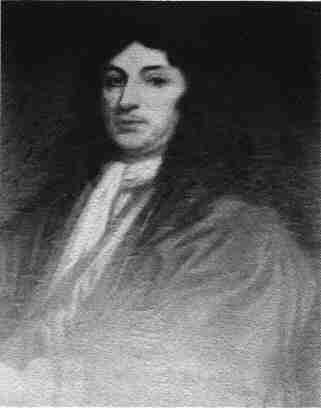 Thomas Dudley, 2nd Governor of the Massachusetts Bay Colony, from whom countless Americans have descended including John Kerry, Humphrey Bogart, Irene Castle, Herbert Hoover, and Paul Giamatti. 2. Melusine: Philippa Gregory works the Melusine legend into the novel by claiming that Elizabeth Woodville’s mother, Jacquetta of Luxembourg, was a descendant of Melusine. In fact, Melusine is claimed as an ancestor to the entire House of Luxembourg. I was surprised by this since usually Melusine is considered to have lived in the eighth century and have been ancestress to the House of Lusignan, but several royal and noble lines wanted to claim descent from her—although why has never been clear given her strange story. I have written about Melusine in more depth on this blog previously, but in short, she was raised in Avalon (yes, King Arthur’s Avalon) and cursed by her mother always to appear as a mermaid or flying serpent one night a week. I have recently been writing my own novel about Melusine so I was curious about how Gregory depicted her. My review of Gregory’s novel is then largely based on those interests. First, Melusine—I honestly don’t know why Gregory bothered to include her in the books. Her story is not told in full in the novel but used instead by Elizabeth and Jacquetta as proof that they are descended from a great water goddess (the goddess term seems going too far to me, although Melusine may have evolved from pagan myths where she was a goddess). As a result, Jacquetta and Elizabeth (they were often thought to be witches anyway) have some witch powers to do minor things like create storms at sea. Fortunately, Gregory doesn’t take this too far, but nevertheless, if she had left Melusine out of the novel, it would not have mattered at all. In fact, the only time the witchcraft idea works well in the novel is when Elizabeth Woodville curses whoever killed her sons, the princes in the Tower; the curse says that the murderer will lose his first born son and his grandson—the irony here is that Gregory ends up showing that Henry Tudor, rather than Richard III, was probably the murderer, since Henry’s firstborn son Arthur died, and then Henry VIII’s son Edward died, leaving only women to reign—Mary and Elizabeth I. I found this an interesting twist to the novel. I also liked the occasional references to King Arthur—the Tudors loved to believe they were Arthur’s heirs and even descendants, hence Prince Arthur’s name. Unfortunately, as far as Gregory is concerned, this curse is the reason why we never had a new King Arthur. Melusine not only was a popular choice as a legendary ancestor for many of the royal and noble houses of Europe, but she also inspired the Starbucks coffee logo. I also loved Gregory’s idea that Elizabeth managed to trick Richard III and sent another boy rather than Richard, Duke of York, to the Tower and that Richard escaped and became the illustrious Perkin Warbeck, who may or may not have been a pretender to the throne. Gregory pretty much had me convinced by the novel’s end that Perkin Warbeck may have been the true Richard, Duke of York; at least, it’s a theory I’d be interested in considering further. I am no expert on the Wars of the Roses, but I did not see any glaring errors in the novel other than Gregory’s continually stating that Jacquetta is related to the Dukes of Burgundy. I am very interested in genealogy, but search as I might, I could find no relationship between her and the Dukes of Burgundy and several other people I discovered online also had to conclude that Gregory made up the connection—why, I don’t know. But other than that, reading these novels really helped me to learn history in an interesting and entertaining way, and I did go online to find out more details about many of the people in the novels and learn more about the period. The White Queen has recently been made into a Starz television series, which I haven’t watched and I’ve read reviews of it not being very historically accurate. Considering the atrocity that Starz made out of the Camelot series (see my reviews on this blog), I probably won’t watch it. 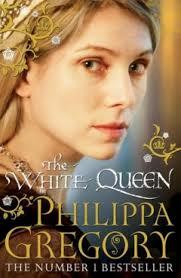 But the novels are very readable, especially The White Queen, which was a true page-turner I didn’t want to put down. If you love British history and good historical fiction, you will probably enjoy reading these novels. If you want to learn more about Melusine, look elsewhere or wait for my novel, Melusine’s Gift: The Children of Arthur, Book Two, when it comes out in 2015 following Arthur’s Legacy: The Children of Arthur, Book One coming summer 2014.